I recently participated in a wonderful 55 minute video interview conducted by Nirav Desai for his Hands On TeleHealth Interview show. I wanted to thank Nirav for leading an insightful discussion; you can watch the video on Nirav’s site but I wanted to capture the essence of the interview in the transcription below. Nirav: What are the essentials of Telehealth and Telemedicine? Shahid: Telehealth and Telemedicine are about extending health care from physical institutions, where it has most recently resided, to where the patients can receive care at home or other more convenient locations. It is also about connecting medical devices, associated software, and patients together to provide better care with hopefully better outcomes. Telehealth is a pretty broad field. Patient management in remote care settings, emailing your physician, getting care over a phone, talking to a physician over a video, connected health, remote monitoring – all of these can be categorized as telehealth. The idea that people have to come in to a health care facility to get general care or advice (as opposed to specific treatments like surgery or flu shots), is just as silly as forcing a person to come in to the store to buy a book or a product. Today, when almost everything is done remotely, patients or consumers of healthcare also expect their care givers to provide care where it is as convenient as buying a book online. Nirav: What is the interest level of the public towards telehealth as compared to other healthcare technologies? Shahid: The interest level of the public is pretty healthy. Telehealth has conceptually been around for decades. However, the advancements in telecommunication technologies over the last decade have improved connectivity and facilitated the growth of telehealth tremendously. Telehealth provides patients with easy and faster access to providers and medical services than might have been possible otherwise. Video conferencing facilitates easy communication between patients and doctors and allows doctors to discuss a patient’s health remotely. Telehealth helps patients reduce healthcare costs and increases effectiveness through improved disease management, less travel time, and fewer hospital stays caused by otherwise delaying early or preventative care. In addition to helping patients lower their health care costs, telehealth also allows health care facilities to save on money and space by enabling hospitals to monitor their patients remotely. For example, consider that there are 5 different operating rooms running anesthesia systems. These anesthesia systems collect data of the patients being monitored and beam them to a central location, potentially in another room in the hospital or even in another city, where a single anesthesiologist will be remotely monitoring the 5 operating rooms. The anesthesiologist can focus on monitoring the vital signs of the patients being operated on while the physicians are busy with the procedure they’re performing. In this example of telehealth, the expertise of the caregiver is expanded to the different components where care is required. This way telehealth also allows doctors to reach out to more people beyond their offices. Consider how complex is the example that I gave above – it sounds like science fiction, but it’s reality and it’s happening today in many hospitals. If even complex procedures like remote anesthesiology can be made possible by remote monitoring technology, of course or simpler things like televisits over video are easy to do. Nirav: What is Tele-radiology and what are its benefits? Shahid: Tele-radiology involves the transmission of medical images, such as X-rays, CT or MRI scans to radiologists in globally different locations for the purpose of diagnosis and treatment of patients. This allows for radiologists to offer their services without physically being present at the patient location and is especially useful when expert advice is required during hours of the day when there are no radiologists on call. For example, an X-ray image may be taken during the night in the US and the “reads” would be done by a doctor in London or Australia. Tele-radiology allows for expert advice to be available to the patient when they need it the most and not necessarily at a time when it is convenient for the doctor in that same location. Nirav: What helped tele-radiology go mainstream and how does this extend telehealth to other clinical disciplines? Shahid: There are 2 main factors that have helped tele-radiology go mainstream. There weren’t enough radiologists available to do work when it was necessary. However, most of the time it was not required for the radiologists to be physically available to offer the advice; instead the radiologist would just need to be available to look at the medical images and give a report asynchronously. In radiology, most of the information that the radiologist needs to know about the patient is brought in an electronic mode or the image itself when the analysis is being done. Tele-radiology helped deliver all the information required for investigation in the form of radiological images to radiologists at remote locations thereby ensuring that the patient received care sooner. There are very good standards that are being followed by the radiology systems, for example, DICOM (Digital Imaging and Communications in Medicine), a standard which facilitates interoperability of medical imaging equipment. An image reader that conforms to the DICOM standard can read an image for example: MRI, X-ray etc. and put it into the DICOM format that can then be shipped to almost anywhere in the world and can be interpreted by any device that conforms to the DICOM standard. All that radiologists required were portions of medical images related to the patient in order for them to do remote analysis or diagnosis and send across a report. A radiology report rarely stands on its own and is usually ordered by someone who is taking care of the patient.The radiologist can remotely view the radiological images and send in the report. The primary care taker can then read the radiology report and if anything is amiss can call the radiologist for confirmation. As an ancillary specialty, that still needs a primary specialty of some sort to be reviewing the report and talking to the patient, it would be an interesting case study as how this can be extended to other clinical disciplines. Nirav: Are standards required in telehealth? Shahid: Yes, standards are required in telehealth but most of the standards we need are already in place. On the lab side, there are LOINC codes and HL7. On the care transition side, there are standards like the CCR, CCD and Blue Button. However there are 2 problems that need to be addressed when it comes to standards – an inter-institution problem and an intra-institution problem. LOINC codes and HL7 standards that are followed within large health institutions are in a pretty decent shape but can be improved. However, transitions that occur from one institution to the other do not happen very well. For example, say a person with congestive heart failure treatment just left a hospital and the transition involves moving to an ambulatory facility of some sort. In reality, most such transitions are done over faxes or through letters sent through mails even though there are already standards like the Clinical Documentation Architecture by HL7, CCD and CCR that are already in place. Even though HL7 has been around for decades and is heavily used within healthcare enterprises, a vast majority of the things that could be done electronically between institutions are not being done; only because there isn’t a standard on which everyone has coalesced on. That being said, if meaningful use is to be viewed from an incentives perspective, one of the things that providers had to do to get these incentives was to buy a system that followed a set of rules. Those rules are fairly well identified and now need to be consumed in the same way that DICOM is being consumed. Starting in meaningful use phase 2 and 3, it will be down to one standard and then there will be the DICOM moment in care transitions as well. Nirav: What is the Impact of ACA (Affordable Care Act) on healthcare IT and telehealth? Shahid: The ACA has several portions of it that are coming out in the shared savings and in an accountable care kind of environment. We have the insurance that does not affect the telehealth directly. What directly will affect telehealth is that almost everything is moving towards a shared savings and outcomes driven cost model. That means care giving is moving from a “fee for service” model in which care providers are paid for in-person visits to an outcome driven care model. In this model, the fees for the visits would be smaller but there is a bigger payback available if care providers actually change the outcomes of their patients. A doctor who communicates with her patients more can influence the patients better and give them better guidance. There appears to be no better way than telehealth to improve communications with patients. Considering this aspect, most things that are going to come out of accountable care, shared savings and ACA that need an engagement with the patient are all revolving around telehealth. Telehealth has been undervalued for many years now because the reimbursement climate for telehealth was not favorable. For example, if a doctor gave the exact same service to a patient over Skype that took just a few minutes, which otherwise would take a couple of hours, the doctors would not be paid for it. However, if a physician were to be paid for consultation over Skype and email just like in-person visits, then they would tend to use these cheaper and easy to use facilities rather than force people to come in for a visit. This outlook is what is changing in ACA. Physicians will get paid for emails and phone visits in the same way they get paid for in-person visits except that there will be additional clauses to guarantee protection and ensure that no fraud is done. Nirav: Does the category / label “telehealth” hurt or help? Shahid: The categorization hurts telehealth more than help. For example, while working with an attorney or an accountant, there is no intermediary telling what can and cannot be done with respect to providing services. The consumer of the attorney’s and accountant’s services can decide on how the services would need to be consumed. For example, I may prefer to work with my attorney through email but may prefer to work with my accountant in person because the accountant is dealing with my money. In either of the cases, it is my discretion on the route to be taken for service consumption and whatever be the method of consumption, the provider is paid for the services offered. However, in the case of healthcare, when there are 3rd party payers like the government or the insurance company telling the doctor that the patient needs to be seen in person to get paid, then the liberty of service administration is taken out of the hands of the doctor. Most service providers or physicians provide the services with hands tied behind their back. Categorization should be avoided for the sound functioning of telehealth. There is no difference between the services provided through email, video and instant messaging so long as the same privacy, security, and fraud prevention is maintained. Nirav: How does the shared savings or accountable care model work with telehealth? 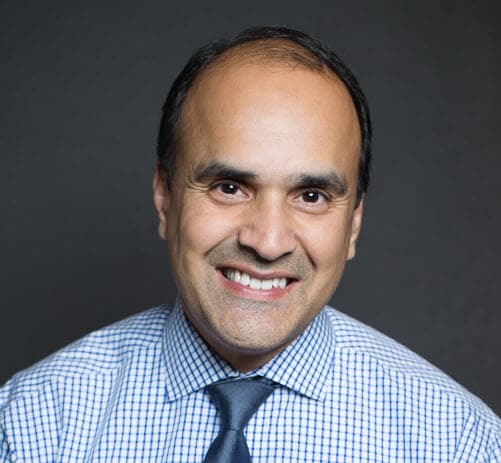 Shahid: In the new shared savings model or accountable care model, the idea is not the services that the provider performs and gets fees paid for; instead it is the outcome that the services provide that is of significance. The future of accountable care is not known. However, it is a known fact that the cost of healthcare is unsustainable. With shared savings and accountable care, it is the government’s first move to provide care to those that absolutely need it and help prevent it for everyone else. Prevention and wellness are excellent candidates for telehealth. Prevention is more about monitoring, education and keeping track of what the patients are doing before they get sick. Once the patient is sick, it is inevitable that they go into the treatment system and complete the treatment cycle. Prior to treatment mode, telehealth is spectacular. For example, say there is a telehealth monitor, a non-intrusive device that is sitting on a patient’s arm and monitors the patient’s health and sends data to the physician, say once a week or once a month. The physician has an electronic health record that notifies via an email when something goes out of the threshold value that the physician has set. The physician then picks up the phone and calls the patient to come in for a visit. The physician is paid to do that and in doing so, is taking care of an entire population and their health rather than an individual. The focus of telehealth is on prevention. There are preventive measures that can be taken for people with tendencies towards certain ailments like a congestive heart disease or diabetes and telehealth can help facilitate this process. However, without engaging the physician, there is no true prevention or wellness. Hence preventive care may only be possible with telehealth because care is expensive. Nirav: Explain the shared savings model from a business perspective. Shahid: For the way that accountable care and savings program works, you and I could get together and go to Medicare and let them know that we would like to start an accountable care unit to provide care to ‘N’ number of people in a particular city. Medicare would then pay us a capitated amount for the ‘N’ patients. Say, Medicare provides ‘X’ dollars per patient. Hence ‘XN’ would be the revenue. We are given the freedom to provide the service in as inexpensive and high quality as we can do it. It is up to us to decide how the profits can be maximized and costs dropped. If the provider cost for an in-person visit would be $50 versus a telehealth visit for $5, then obviously the provider would chose the telehealth option. That way the providers’ incentives are aligned with keeping the patients healthy so as to minimize the hospital visits. This model is in the experimentation phase. Presently, there are around 75 Accountable Care Organizations that have gotten approval and 30 to 40 of them on the way to getting approved. There are several years of experiments ahead of us before the effectiveness of the model can be established. Nirav: What are the Top Do’s and Don’ts for someone starting out on healthcare IT? Shahid: There has been a lot of focus around the meaningful use of technology in general. EHRs should not be seen as the center piece of care. Since the government has put billions of dollars into EHR, almost everybody’s discussion now starts and ends with EHR. However, an EHR rarely assists in the actual outcome of care or direct patient engagement. Granted that EHR’s are extremely important, but for someone starting out on healthcare IT, the discussion should not just start and end with EHR. A person starting out on healthcare IT should start out with simple tools. A basic infrastructure consisting of good connectivity between referral partners, regular office automation like good internet connectivity should be the starting ground for someone stepping out on to healthcare IT. Nirav: What are the Top Do’s and Don’ts for someone getting into telehealth and telemedicine from a technical perspective? Leverage existing simple technologies to stay well connected with the patients. The best approach for someone getting into telehealth is to start using already existing systems like email, phone and SMS to stay connected with the patients. The advantages of using these systems are that they are already in place and are used by almost everyone. Consider telehealth as an ability of having one’s health record or imaging system call out to a patient from a computer saying that the patient’s lab results have been received and there is something amiss and the patient needs to come in for a visit to the doctor. If a person was employed to do the same thing with say 20 – 30 USD an hour, it becomes expensive considering that the same thing could be done by electronic means with today’s software so easily making outbound calls to patients on their cell phone. This way telehealth can leverage the power of the conventional telephone in a simple manner. Hence the idea is to stay connected with patients; it does not matter if it is a phone, email or fax. Anything that can be matched to systems that have already been used in the past to get that outreach would work great. Using a telephone and IVR as a user interface would be just as effective as using a screen. Stay Simple. Stay connected using the most simplest of systems. Choose a connection methodology that best works for the patient or the consumer and not just the doctor or provider. A health care institution or provider may choose a connection methodology that best suits them or is easy for them to use but the patients may not want to use it at all. This may lead to the provider thinking that the technology or the application does not work, which is not the case. Consider the fax, which has been a conventional connection paradigm. Everyone uses fax because it is so ubiquitous. Even though there are tons and tons of faxes being delivered to the wrong destination, nobody cares. It is a widely accepted paradigm. A more recent paradigm would be the smart phone. Smart phones barely take care of the most needy patients, the ones with least amount of money and ones with many of the health problems that telehealth will resolve. These groups of people are just not smart phone people. A provider would need to find out what the patients have best access to and what would be the best way to extend care to them so that they would consume it in the easiest way. The providers should aim to meet the consumers in the market place in the way they want to be met and not in the way the provider wants to meet them. Going forward, it would be wise to identify areas where the staff is spending time reaching out to patients manually, automate the process and use the staff’s valuable time on more productive and creative endeavors like adding more data to EHR, marketing yourself to patients, looking at other technologies that could benefit you and the like. I’d love to get your feedback…drop some comments below.